Convert stationary chairs into swiveling chairs to reduce the strain on your back and hips. 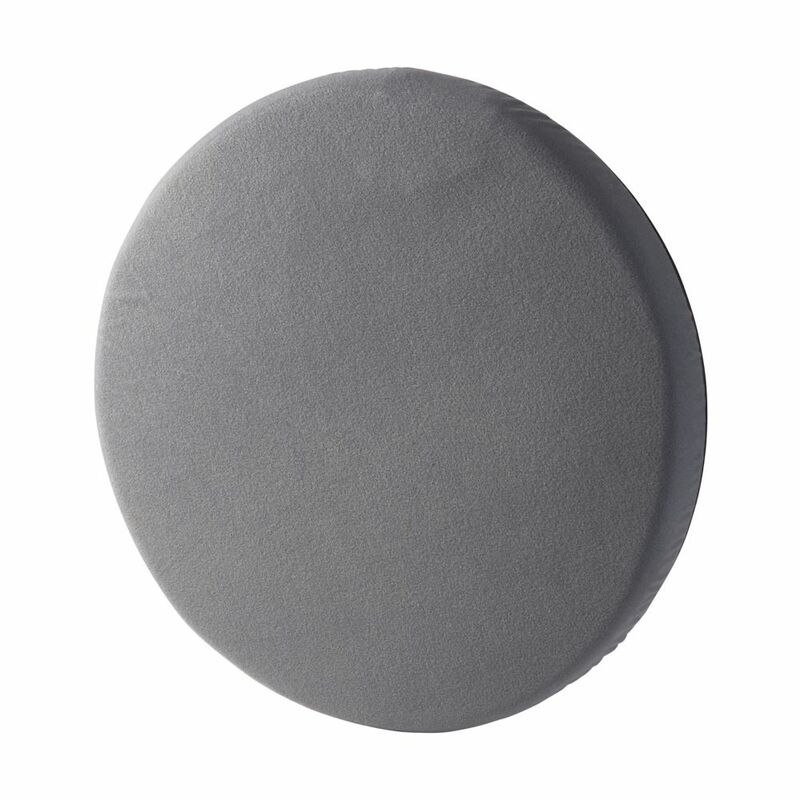 Soft 1 3/8 inch foam cushion helps bring more comfort to your chair. Deluxe Swivel Seat Cushion Effortlessly swivel in your seat and reduce hip and back pain when getting up from your chair or exiting your car (works best on non-bucket seats). The DMI. Deluxe Swivel Seat Cushion turns a full 360 degrees, making it easy to swing your legs in the right direction. The cushion gives you soft, customized comfort while you are seated. It also helps to reduce the pressure point sensitivity that can cause pain. Chronic pain sufferers will tell you that every extra movement can cause them discomfort. This cushion can minimize the stress on your back that occurs from twisting and turning to get out of your seat. Deluxe Swivel Seat Cushion is rated 4.3 out of 5 by 4. Rated 5 out of 5 by Joanne from Just what I was looking for.... Just what I was looking for. Rated 5 out of 5 by Grandma from I purchased the cushion to use with swivel exercises to... I purchased the cushion to use with swivel exercises to increase flexibility in my lower back. It is stable and moves freely when I am sitting down in a straight back chair. I works for me. Rated 5 out of 5 by Anonymous from Helpful Seat rotates easily, does what it's supposed to do.